To some faculty, staff, students and community members, the opening of the new Wolfe Center for the Arts is an exciting new addition to the Bowling Green State University campus. 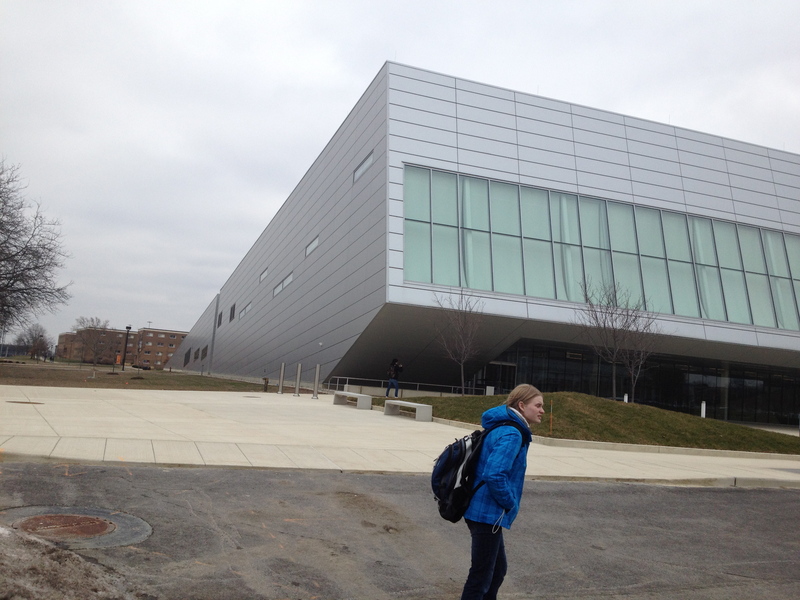 After more than two years of construction and $42 million in construction costs, classes at BGSU’s new Wolfe Center for the Arts are currently in session. “The Wolfe Center is the second most important structure in cultural arts being built in North America,” said Ron Shields, chair of the theater and film department at BGSU. Designed by the Norwegian architectural firm SNØHETTA, the 93,000-square-foot building reflects the geological landscapes of northwest Ohio, Shields said. 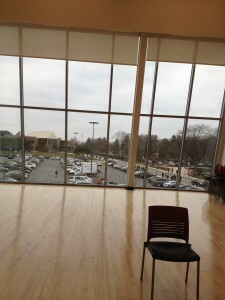 Filled with new theaters, studios, classrooms, computer labs, shops and lounge areas, “the Wolfe Center is a building dedicated to the practice and study of art,” he said. 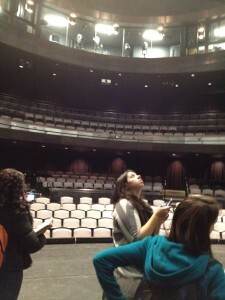 While giving a tour of the Thomas B. and Kathleen M. Donnell Theatre, Shields said what the department wanted was a space where students could learn what they would need to get the skill sets to work on the big shows. The Wolfe Center has brought a lot of attention to BGSU and has caused a lot of discussion around campus. Some theater majors feel there is nothing wrong with the way the building was built, while some non-theater majors disagree. Hilary Mankin, 19, a theater major specializing in acting directing from Vermillion, Ohio, said she likes the building’s location. 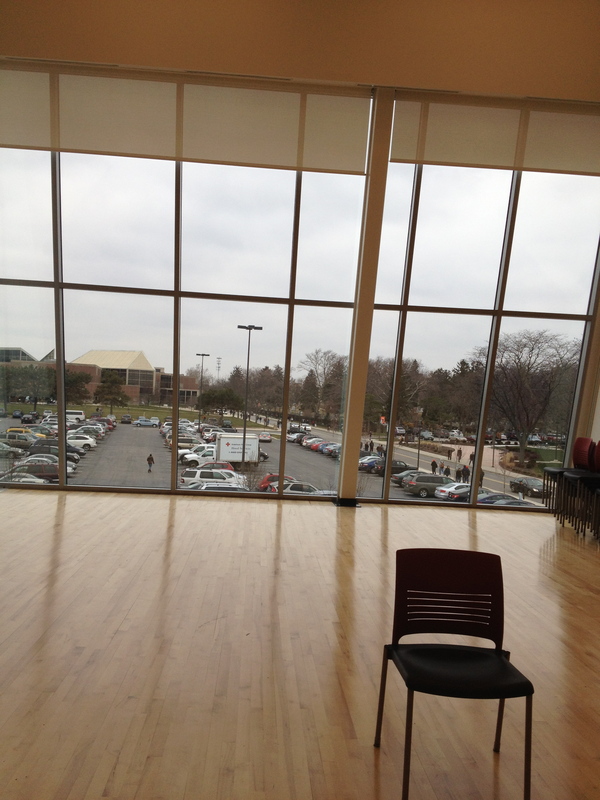 Before the Wolfe Center was built, theater majors had to jump around from building to building, whereas now they mainly spend time at one, Mankin said. “It brings more attention to this side of campus, which used to just be more for art majors,” she said. However, vocal performance major Lara Harrison, 19, from Tucson, Ariz., who only has one class at the Wolfe Center, feels that although the building is for the arts, it is more for theatre and film majors. “I love the theatre and I love the choir room, but I do not like that they do not have any practice rooms. If we want to practice, we have to go to the Moore Musical Arts Center,” Harrison said. “I think that there are a lot of rooms, and I think they put a lot of the classrooms in really interesting places—they have the window space, like how in one of my classes there is floor-to-ceiling windows,” Mankin said. Although students may have mixed feelings about the Wolfe Center, faculty, staff and students are ready to use the new theaters and technology on upcoming events. The Wolfe Center for the Arts will hold its first performance on Feb. 16-26 for the play “The Arabian Nights,” directed by Jonathan Chambers in the Eva Marie Saint Theatre. This entry was posted on Wednesday, February 1st, 2012 at 8:00 pm	and is filed under BGSU, Wolfe Center. You can follow any responses to this entry through the RSS 2.0 feed. Both comments and pings are currently closed.